The roster of the living former Brooklyn Dodgers is now one player lighter. Boyd Bartley, former shortstop for the Brooklyn Dodgers passed away Friday evening in Richland Hills, Texas. He was 92. 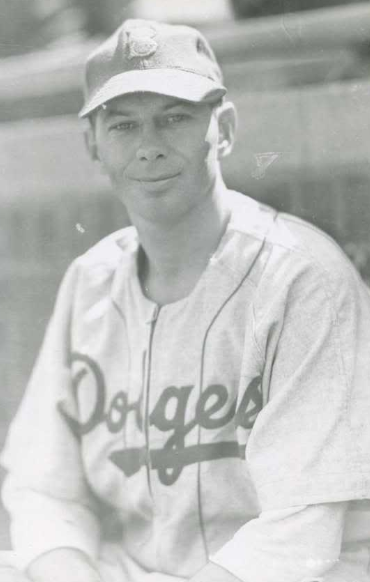 Bartley was signed out of the University of Illinois in 1943 after receiving a bonus from the Dodgers to steer him away from his hometown Chicago Cubs. The young shortstop was heralded for his defensive prowess and received comparisons to then-Indians shortstop Lou Boudreau. The Dodgers wasted little time in testing Bartley’s skills, inserting him in to the lineup a day after he was signed, starting both games of a doubleheader against the Cincinnati Reds. Bartley went to war with the Army in the Pacific campaign in 1943 and returned to Baseball in 1947. Unfortunately, a shoulder injury he suffered in the Army ended his dreams of Major League stardom, so he signed on to become a player-manager in the Dodgers system when he came back. In 1968 he began scouting for the Dodgers, and is noted for being the man who signed Orel Hershiser. Be sure to check out Nick Diunte's excellent article about the man. Below are his stats, via Baseball-Reference. Adrian Gonzalez pays a visit to the East L.A. Civic Center to deliver gifts to the children. For a look back, Michael Ozanian of Forbes interviews Irwin Raij who lead the Buyers deal team for the Dodgers sales transaction. Drafted in the 10 round (2012) by the LA Dodgers, Zach Babitt will inspire many.